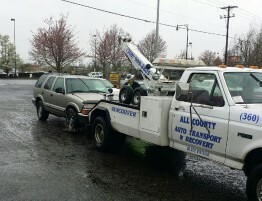 All County Auto Towing is dedicated to providing affordable, safe, effective and professional towing and roadside assistance in Vancouver Washington 24 hours a day. Although we specialize in damage free flatbed towing, we also offer very affordable lockouts, jump starts, fuel delivery, winching, tire changes and more. 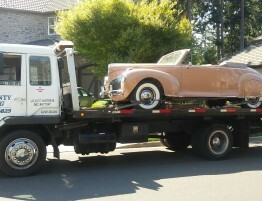 Towing for motorcycles, trailers and equipment is available as well. 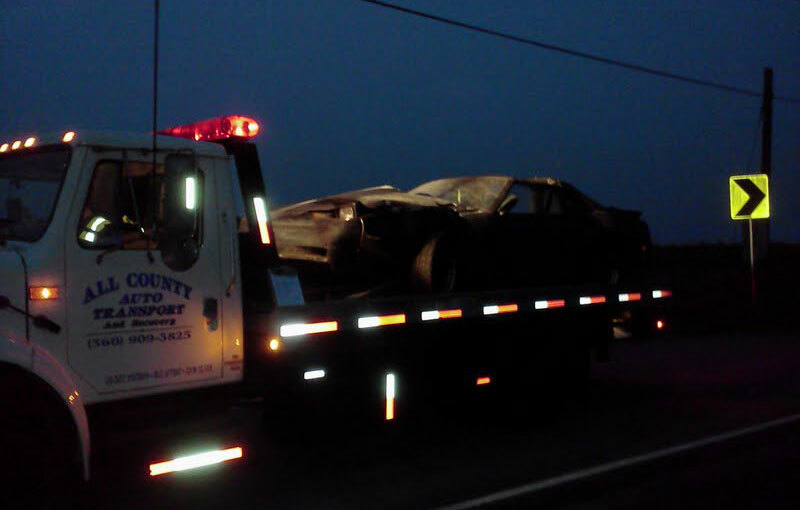 At All County Auto Towing we know that your time is important. 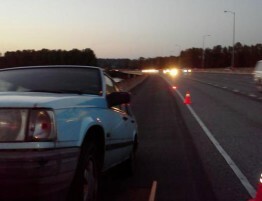 Whether you are here in Vancouver out by Yacolt or up in Hockinson we will get you taken care of promptly. Our location by SR 503/500 and Padden Parkway allows us to get to you quickly. When we started this company it was with a diesel truck and a wedge trailer hauling vehicles to the Seattle area and back to Portland. 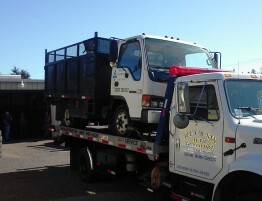 After a little over a year our first tow truck was purchased and we began providing local towing services and roadside assistance. Helping people in need is very rewarding and we enjoy it, which is why we always provide excellent customer service. 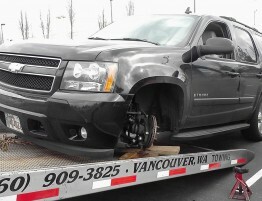 There are many towing companies in here Vancouver that provide quality and professional services. We have worked hard to become one of these companies by continuously training, staying up to date with industry standards and operations, providing high quality services and most importantly focusing on customer satisfaction and safety. Owning and operating any small business is not cheap nor is it easy especially when it involves our safety as well as the safety of other motorists. There are strict DOT and FMCSA rules and regulations that we adhere to in order to keep everyone on the road safe. 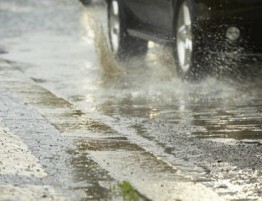 All County does not take part in the impounding of vehicles or repossessions. 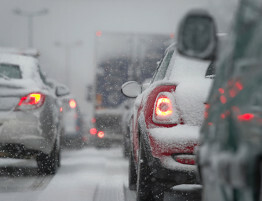 Granted these are necessary services but they do not help with our goals of building an excellent reputation for providing the best customer service possible and helping people get back on the road. For all of our services we keep up to date on the latest procedures and tools in order to continue providing effective, safe and affordable assistance. Utilizing the latest lockout equipment for instance has allowed us to offer some of the best rates and quickest unlocks, all while maintaining a damage free reputation. 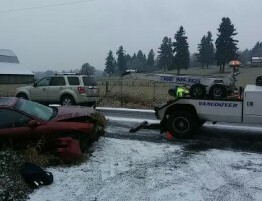 So if you happen to find yourself stalled on the side of 205 or locked out of your car at home in Brush Prairie give us a call and someone will be right out to help. We are here to meet your needs and get you going again.